December is here already, and we have all the books available on Amazon, Smashwords, iTunes, B&N, Kobo, Book Depository and other online stores for your entertainment and family gifts. Check out the panel on the right for a FREE COUPON for the Princelings Box Set, Books 1-3. Click the menu item Bookstores if you want a link to our books at your favourite store. You can also order paperbacks from your independent bookseller using the ISBNs listed. 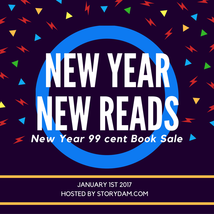 If you're giving gift cards or ereaders, please direct your lucky recipient to the New Year, New Reads 99 cent special, with many participating authors pricing their books at 99c (or less) just for New Year's day. 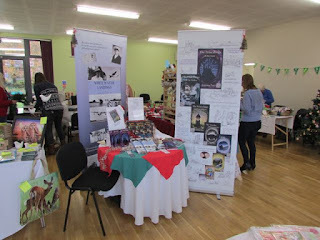 Jemima had an excellent Christmas Craft fair appearance last month - the fair was well attended and she sold plenty of books. The photo was taken before the fair opened! Her father's memoir White Water Landings was the most popular seller.